The pre-calibrated BroadWeigh Wind Speed Sensor (BW-WSS) anemometer provides both real-time display and full logging of wind speeds. With user definable sampling rates and easy wireless installation this anemometer makes an ideal choice for general wind speed monitoring and action planning for outdoor events. On-location monitoring is a critical aspect of weather management in conjunction with regional weather reporting and prediction services. 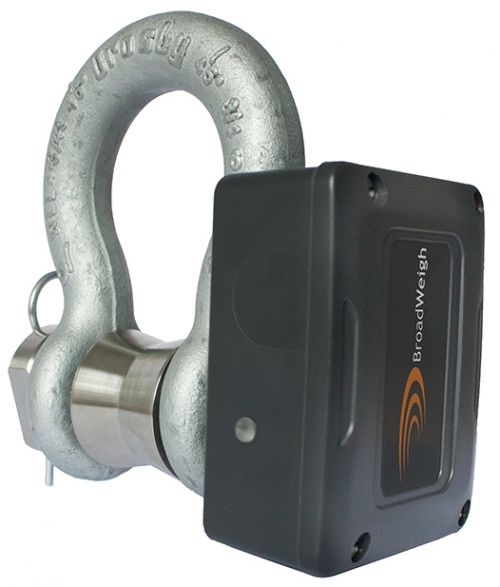 The BroadWeigh system offers supplier data processing and recording which enables the user to develop reports, trending and trigger peak speed alarms. The wind speed sensor constantly monitors average wind speeds over the range of 5 to 125 mph and can be configured to provide readings in a number of standard units including mph, fps, km/h and m/sec. It also measures gusts at user defined periods of 1, 3, 5 or 10 sec. The BW-WSS uses a low power mode between transmissions to maximise battery life (in excess of 12 months) in the field whilst offering class leading wireless coverage of up to 800 m (2,600 ft). When used in conjunction with Mantracourt’s BroadWeigh shackles and load monitoring software (BW-LOG100), the combined system can provide directly correlated data of guy-wire and storm-brace tensions in relation to wind speed conditions. This means that wind speed ratings and rigging components within a tent or staging structure can be closely monitored and action can be taken prior to failures occurring. This is especially useful in conjunction with LED video wall rigging, PA towers, roof canopies, marquee tents and other temporary de-mountable structures. The anemometer is housed in an IP67 case & supplied with robust fixing bracket, featuring a high quality 3-cup rotor pressed on a stainless steel shaft with rugged Delrin body with bronze Rulon bushings. This operates alongside the whole range of BroadWeigh devices such as base stations, handheld displays, analogue output, relay modules, GPRS data loggers and more, and is designed and built on Mantracourt’s BroadWeigh 2.4 GHz wireless technology. An outdoor events company were using a stage which had been designed with a canvas canopy mounted above the top of the stage. It was critical for the events manager to be able to monitor the stability of the canopy throughout the event, as the high wind forecast could exert a force on the canopy which could prove dangerous.